GFQ1400、1650HIGH-SPEED CYLINDER PAPER CUTTER is play the length and the speed of cutting paper and its adjustment is convenient. It adopts cutting knife made in Germany.It is durable. 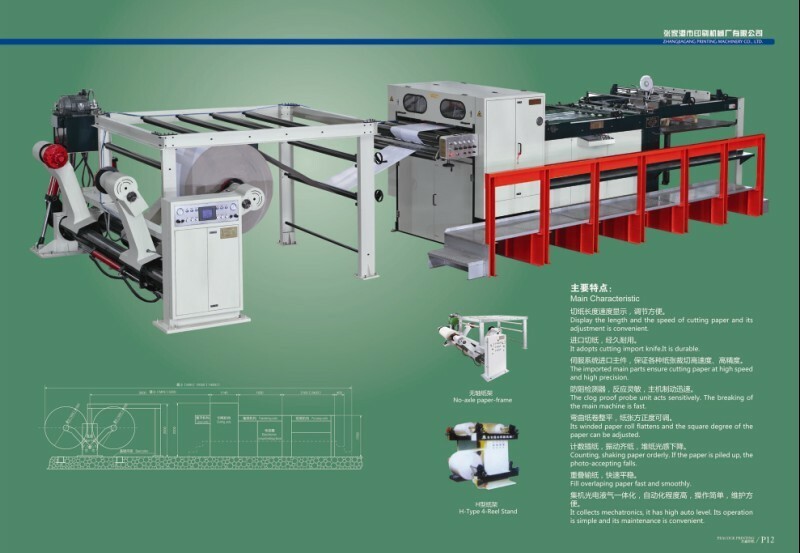 The imported main parts ensure cutting paper at high speed and high precision. The clog-proof probe unit acts sensitively.The breaking of the main machine is fast. Its winded paper roll flattens and the square degree of the paper can be adjusted 。Counting,shaking paper orderly.If the paper is piled up,the photo-accepting falls. Fill overlapping paper fast and smoothly. It collects mechatronics .it has high degree of automation .Its operation is simple and its maintenance is convenient.